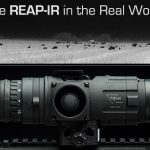 Never have their been more rifle and caliber options for hunters. While I’ve been aware of the 6.5 Grendel for years, only recently did I get the opportunity to run one. 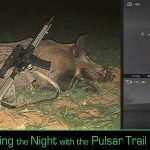 I’ve killed hogs with everything from a 9mm pistol to a 50 BMG beast (subsonic suppressed!). Also in that line up are the 5.7mm, .223/5.56, 6.8 SPC, .458 SOCOM, 300 WinMag, 300 Blackout and others. Every tool has it’s place and purpose and in truth some of these overlap. Yet what I experienced shooting the Alexander Arms 6.5 Grendel laser gun really surprised me. I’ve wanted to test drive a 6.5 Grendel specifically on hogs for some time. Hogs are beasty, tough fast movers and if I can drop them consistently with a Grendel I figure I can drop a lot of other game with it as well. I’ve also wanted to put the SHWAT™ logo on guns but as someone who’s historically pretty much kept the black rifles black that would be a trick. The Alexander Arms Grendel would be the first Cereakoted gun I ever spec’d out. Spoiler alert: Wow, did they deliver! In form and function it is amazing. As soon as it arrived it went into the photography studio. I didn’t have time to do a lot as my Texas hog hunt with Pro Staffer Jared Hilton was approaching fast. And I can never get a gun back to factory clean after a hunt. Maybe I don’t have the patience or maybe it is actually impossible, or maybe I just need a SHWAT™ staffer who’s local and good at it. So much for the perfectly clean gun, its time to hunt. Back to West Texas, back to where SHWAT™ was born I go. I have a fondness for this place that’s far deeper than the crop roots in the red dirt. Our host family has farmed this ground for generations and are some of the finest people I’ve ever known. I’d say they roll out the red carpet for me, but that’s only part of the picture. They also treat me like family, a fun privilege in a place where I now know four generations of them. So yes, sometimes I sleep on a couch or the floor, but that’s family for you and I love it! I’m pumped as always, and particularly excited to see what the Grendel will do to the hogs that pummel the crops that feed the cattle that pay the bills for our hosts. Oh, and the cattle are far more tasty anyway. Upon arrival Jared and I build up rifles and optics. We’re running Pulsar thermals on ZRODELTA DLOC mounts. The mounts are exclusively available from Ultimate Night Vision. I admit I’m a bit of a mount snob. Besides the return to zero properties of the mounts, they won’t damage my especially good looking Grendel! Win. I also mount a Bowers Group Vers 30T suppressor for the hunt. My preference is to suppress everything and the titanium 30T is a great lightweight fit for the 16” Alexander Arms build. We’d soon discover that even shooting supersonic ammo it was comfortable to our ears. Yes, that should mean hearing safe, but hearing safe doesn’t always mean comfortable. I don’t want to be on the verge of hearing safe, my ears already ring constantly. My 30T came naked, its shiny silver titanium tube gleaming. Not the best for hunting at night so I added a Bowers Griptastic™/Supcov™ High-Temp Silicone Silencer Cover. Lot’s of words there, but ultimately is a can cover that not surprisingly fits the Bowers 30T like a tight glove. We’ve had exceptionally good results using Maker Bullets and got some 95 grain Grendel ammo in for this trip. Maker Bullets are solid copper and Jared has dropped more pigs with these than anything else he’s used to date. The Grendel loads would live up to expectations this trip. One thing to note in the 6.5 Grendel universe is that while we’re still running an AR15 pattern gun the magazines are Grendel specific. The only mags I have for this hunt are metal ones made by E-Lander sporting the Alexander Arms logo. They are available in four, ten, seventeen and twenty-four round capacities. I load a couple of mags, one for the rifle and a spare in my High Speed Gear Battle Belt (a totally worthwhile piece of kit that not coincidentally matches the Alexander Arms Cerakote!). We gather our gear and head out. Our hunts typically consist of driving a 25 mile loop looking for hogs in the family farm fields that range in size from 120 to 640 acres. When we spot hogs we stop and hike into the fields to start pounding feral swine. It’s worth pointing out here that we probably do 10-20k hikes each night we hunt. It chews up the clock, but it makes for great conversations between friends. The hours and miles also suggest that the weight of our hunting load out might matter. The High Speed Gear Battle Belt moved all but the loaded rifle and optic weight to my waist. My pant pockets were empty, except or maybe a wallet so I’m quite comfortable. The SHWAT™ Alexander Arms semi custom Grendel weighs in at a mere six pounds before ammo, suppressor and optic are added. That is a welcome surprise. The rifle is light enough that it makes me question my scale. But pick it up and you immediate know it’s lightweight. Our rifle has the Grendel sixteen inch Lite barrel and no muzzle device (but did come with a thread protector). Walking around carrying this thing all night really makes me appreciate its weight. The stalks can take a long time, the fields are huge the Pulsar thermal detection range is just as huge. And we’ve found that shooting suppressed, even supersonic, we can often engage multiple groups in the same field in the same hour or two. This hunt will prove more difficult than some others. The wheat in the fields we hunt is about to be harvested. That means it’s tall. The short stuff is two feet tall, mid thigh on the taller end. It’s harder to be quiet and even using thermal the hogs are hidden in it. Unless we line up on rows that run perpendicular to our targets, we can only see whatever bit of the hog is taller than the wheat. Things get really exciting when you know that angry feral hogs can come your way and you cannot see them! Even stranger, during daylight you can see the tops of the wheat moving like disturbed water when the group of babies and smaller hogs run snorting through the field within 15 yards of you. Imagine standing in a swamp you know has alligators and you’re a long ways from the safety of shore. The water is dark and begins to ripple around you… It’s a similar feeling, though ratcheted down a bit. Fast forward and we’re in a familiar spot. It’s dark, of course, and we’re scanning fields using the Pulsar Helion XP50 Thermal monocular which Jared has already written about. The clock has moved past midnight and a hog is spotted and stalk is done, the shooting is about to begin! My first shot connects, but we don’t find the body. If I had a thermal camera on my drone I’m sure we would have found it down from the sky. While Jared and I discuss the difficulties tall wheat creates, we spot more hogs. We close distance to 75 yards. I line up my shot in the Pulsar thermal scope. The picture in picture function is pretty great giving me a more precise sight picture on my pig while simultaneously allowing me to keep an eye on others. My target hog is standing more or less still, just ambivalently chewing on the luscious wheat. Selector to “Fire” and I place my finger on the trigger. The SHWAT™ Grendel has Alexander Arms’ Tactical Bow style trigger installed. According to my Timney scale, the trigger breaks at 4.5 pounds. Though hidden inside the receivers, the hammer is skeletonized and looks great when you open up the gun, if that matters to you. My first impression is that the trigger breaks like a glass rod, and that’s almost true. Slowing down, barely squeezing the wide trigger shoe enough to get it moving, I find a hint of creep. It’s too small to measure and meaningless on a nice trigger for hunting. Bottom line, it feels great and I had zero light primer strikes on the Maker ammo. The hammer falls and the 6.5 Grendel Maker bullet pierces the hog’s ear, exiting the other side of its head. Using a heart girth measurement chart to calculate weight this hog came it at 181 pounds (38” measurement behind the front legs). With the rifle anchored to me via its Adaptive Tactical EX performance stock I swing onto the next hog and connect with a shot to its neck at 100 yards. This rifle is SMOOTH! And that pig is dead! The 34 inch girth translates to a 140 pound pig. Not big, but not small, and not entirely visible above the wheat height. It looks bigger to me than 140 pounds, but we’ll stick with the measurements. Hogs sometimes run in crazy directions when the shooting starts. The third pig headed my direction then veered off in a full sprint 50 yards before it got to me. I dropped that one with a single shot as well. It’s a 40 inch girth, so 200 pounds and there’s no exit wound. Sunrise comes and with it a ridiculous amount of dew. Our pants are soaked with it. My Lalo boots have water in them, but happily they drain as designed. We spot about fifteen hogs in a field, but no telling how many are hidden below the height of the 24-30 inch tall wheat. The hogs are in and out of that cover. Once we start shooting a bunch of smaller pigs and piglets hidden beneath that height make the ominous wave as they run back by us. I tag one on the run about 85 yards out and it drops. As we approach, still unsure of where in the wheat it lay, it hopped up again and took off! I respond with some rapid fire and this time it’s down for good. With a 47 inch heart girth the table says this is a 270 pound pig. The tusks are some of the biggest I’ve seen. Now it’s time to get some sleep before rebooting for the next night when I’ll give Jared a turn with this rifle. I must confess at this point that I’m flat out sold on this gun. The look of the Alexander Arms rifle combined with the success hunting could clearly cloud my judgment, but the fact is that I shot better than on my average hunt. I’d love to tell you I’m God’s gift to wild hog speed sniperhood, but that’s probably not a thing and I’m not that good yet anyway. Leading hogs with the flat and fast shooting 6.5 Grendel is the easiest I’ve ever experienced and the rounds just dropped the pigs. I didn’t have a single malfunction and it definitely didn’t feel over gassed with the Bowers suppressor. The whole feel of the gun, including the Manticore Arms Transformer rail that I reviewed a couple of years ago, is just spot on. I like all kinds of guns and configurations, all kinds of calibers. This Alexander Arms 6.5 Grendel is my new favorite all around hunting rifle that I’d take on a broad variety of hunts. I connected to hogs more than my stats would have predicted. One shot kills, hogs on the run, everything worked better. Thus the “Laser Gun” experience. If like me you’ve debated about getting one for a while I’d personally suggest you pull the trigger on it! 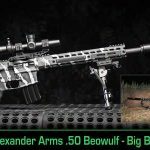 This entry was posted in Special Hunting Weapons & Tactics™ - The Center of Gravity for Tactical and Long Range Hunting and tagged 6.5 Grendel, Alexander Arms, Hog Hunting, Maker Bullets, Night Vision, Pulsar, Texas, thermal by Jonathan Owen. Bookmark the permalink. 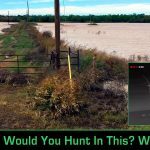 Good article on Hog Hunting. I’ve been thinking about getting into hog hunting and to that end, I recently purchased a Sig Sauer MCX Virtus 300 Blackout FDE . I wanted a .30 caliber gun with the flexibility of shooting 5.56 (I didn’t think the 5.56 had enough knockdown power for wild hogs). My Aimpoint Micro T2 is shipping next week. I went with the T2 so that I could leverage night vision is the future if necessary. At this point, I’m not pursing a suppressor given the elongated processing time and restrictions and wasn’t sure it’s necessary. Based on what you’ve shared in the article, I’m just a babe in the woods. Needless to say, I would appreciate your feedback on what I have and what additional equipment I should purchase. So many great options available Allen. As far as gear goes, you have the basics. There’s a ton of info on the site, just keep clicking around. I can’t really make any specific suggestions without knowing more about your situation. Either way, sounds like you have some exciting hunting planned. Good luck! Love the article and pics Jonathan!